Sony Pictures is gearing up to give us a whole lot of Peter Parker in the coming years. After the new Spider-Man is first introduced in Captain America: Civil War this summer, he'll get his own standalone reboot in 2017. This will be followed in 2018 by the Spider-Man Animated Movie. But things aren't going quite according to plan. The Spider-Man Animated Movie is being delayed slightly. And instead of arriving as a summer tentpole, it is now getting a Christmas release. Yes, though the Spider-Man Animated Movie was supposed to be in theaters July 20, 2018, we won't actually get to see what Phil Lord and Chris Miller have planned until December 21. And judging from the recent blockbuster release of Star Wars: The Force Awakens in that same window, this probably isn't a bad thing at all. The Spider-Man Animated Movie could do quite well for itself considering most kids are out of school at that time. Sony Pictures has also rescheduled two of its other upcoming family movies. Though no one is quite sure what it will be just yet, Emoji movie is now set to make its big screen debt on August 11, 2017. And the studio's adaptation of Peter Rabbit will land March 23, 2018, setting itself up as the perfect Easter release despite its lack of religious connotations. Phil Lord and Chris Miller, the pair behind family friendly box office hits Cloudy with a Chance of Meatballs and its sequel, along with the much more adult oriented 21 Jump Street, are the masterminds behind Spider-Man Animated Movie. They are writing the treatment and will produce. The duo was also scheduled to direct before they decided to do the live-action Star Wars Anthology: Han Solo Movie instead, which will be arriving in the summer of 2018. 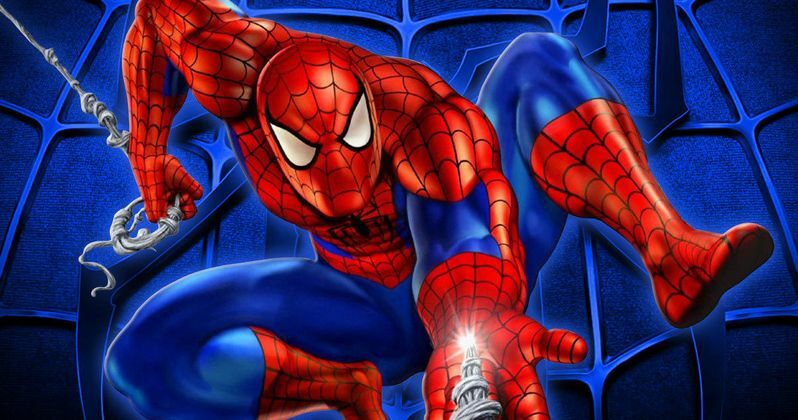 The Spider-Man Animated Movie doesn't have a confirmed director at this time. And no story details have been released, though we know it won't be directly tied into the live-action Spider-Man arriving the year before. No plot details have ever been released for Emoji either, though the title was the subject of an intense bidding war earlier this year, with Sony walking away victorious. The movie is co-written by Eric Siegel and Anthony Leondis, with the latter directing. Leondis is said to have created a series of story boards that he used to outline the entire film, which will be based on the tiny, expressive characters. Paramount and Warner Bros. also tried to secure the rights, but lost out. Not much is known about this new iteration of Peter Rabbit, except that it is sticking close to the original works of Beatrix Potter. The fluffy bunny has already been the subject of countless TV adaptations and even returned in a new series of books penned by Academy Award winning actress Emma Thompson. Peter Rabbit actually has some stiff competition on March 23, 2018, as it will be opening up opposite DC and Warner Bros.' The Flash. It will also be going up against another animated movie in 20th Century Fox's Anubis, which follows the story of Medusa. Emoji currently has no competition on August 11, 2017. But we're sure that will change in the upcoming months. The Spider-Man Animated Movie used to be positioned against an untitled Blue Sky Animated movie that has yet to be announced. Moving into the December 21 frame, it now faces yet another unnamed project from Blue Sky and Fox. What could it possibly be? We have no idea. What do you think about this release date shuffle? Will the Spider-Man Animated Movie benefit from being a few extra months removed from the live-action reboot? We think so.